Animas City Theatre(128 E. College Drive, 799-2281, www.animascitytheatre.com)MaudieBased on a true story. An unlikely romance in which the reclusive Everett Lewis (Ethan Hawke) hires a fragile yet determined woman named Maudie (Sally Hawkins) to be his housekeeper. Maudie, bright-eyed but hunched with crippled hands, yearns to be independent, to live away from her protective family and she also yearns, passionately, to create art. Unexpectedly, Everett finds himself falling in love. Rated PG-13. Gaslight Theatre(102 Fifth St. Next to the railroad depot, 247-8133, www.allentheatresinc.com)DetroitThe gripping story of one of the darkest moments during the civil unrest that rocked Detroit in the summer of ’67. Spider-Man: HomecomingAfter the events of “Captain America: Civil War,” Peter Parker attempts to balance his life in high school with his career as the web-slinging superhero Spider-Man. Rated PG-13. Durango Stadium 9(Next to Durango Mall, 247-9799, www.allentheatresinc.com) Annabelle: CreationSeveral years after the tragic death of their little girl, a dollmaker and his wife welcome a nun and several girls from a shuttered orphanage into their home, soon becoming the target of the dollmaker’s possessed creation, Annabelle. 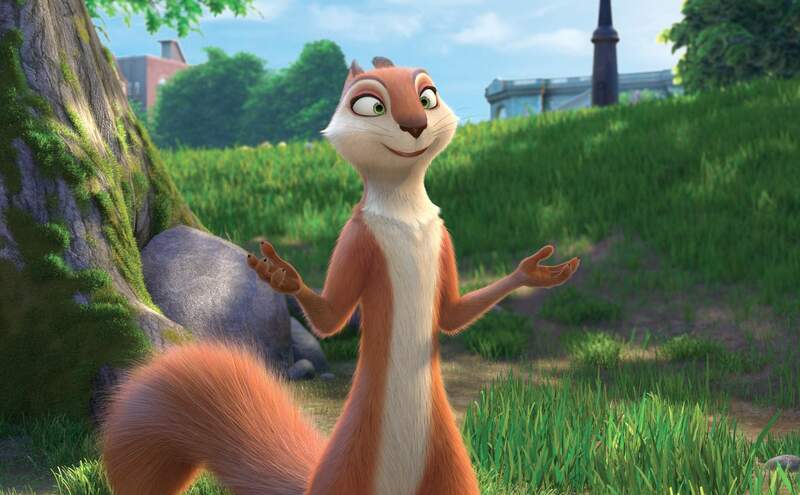 Rated R.
Nut Job 2: Nutty by Nature(Also available in 3-D with surcharge) Following the events of the first film, Surly and his friends must stop Oakton City’s mayor from destroying their home to make way for a dysfunctional amusement park. Rated PG. DetroitThe gripping story of one of the darkest moments during the civil unrest that rocked Detroit in the summer of ’67. KidnapKarla Dyson’s will and strength are put to the test when – after looking away for just one second – her son is taken. With no one to turn to but herself, she jumps in her own car and speeds after them, determined to stop at nothing to bring her son to safety and take down his kidnappers. Rated R.
The Dark TowerThe Gunslinger, Roland Deschain, roams an Old West-like landscape where “the world has moved on” in pursuit of the man in black. Also searching for the fabled Dark Tower, in the hopes that reaching it will preserve his dying world. Rated PG-13. Atomic BlondeAn undercover MI6 agent is sent to Berlin during the Cold War to investigate the murder of a fellow agent and recover a missing list of double agents. Rated R.
The Emoji MovieGene, a multi-expressional emoji, sets out on a journey to become a normal emoji. Rated PG. DunkirkAllied soldiers from Belgium, the British Empire, Canada and France are surrounded by the German army and evacuated during a fierce battle in World War II. Rated PG-13. War for the Planet of the ApesAfter the apes suffer unimaginable losses, Caesar wrestles with his darker instincts and begins his own mythic quest to avenge his kind. Rated PG-13. Despicable Me 3Gru meets his twin brother, Dru, who he never knew about. Rated PG.